FREE access to the nation's leading online college funding and financial aid guidance system. Click for Details! 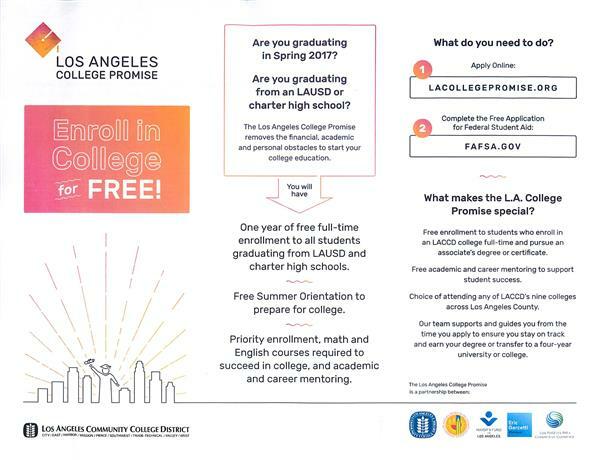 The Los Angeles College Promise provides one year of free enrollment to all full-time students graduating from LAUSD... - Click for Details!